I swooned at the photographs from the Spring 2013 Couture shows. Who doesn't enjoy an avalanche of tulle, taffeta, ruffles, crystal beadings and lace details? And the shoes were as interesting as the lavish clothing. Here are some graceful models from Giambattista Valli, Valentino, Giorgio Armani Privé and Christian Dior. 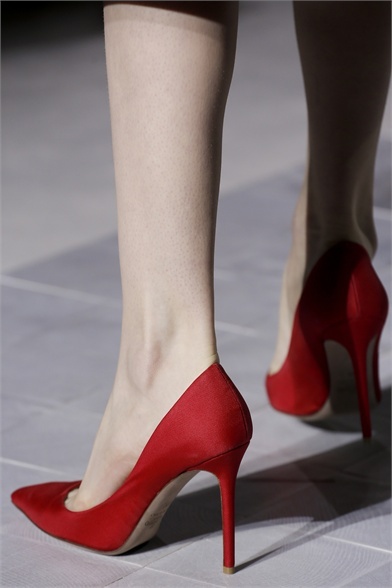 5 comments on "The Shoes Of Paris Haute Couture 2013"
I love the classic red pumps from Valentino. They are simple yet elegant! I love them too. They are probably my favorite ones because they are timeless.